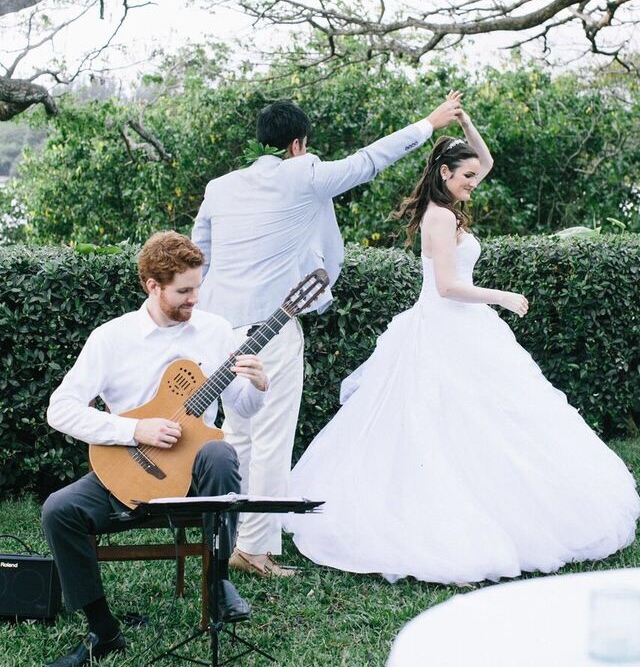 Classical guitar is an excellent choice for a wedding. I have provided guitar music for over 100 weddings and I take great pride and joy in creating a beautiful atmosphere with my music. I am always honored when asked to play for a wedding. Please reach out to me with any questions you may have. “Stephan exceeded our expectations from the first moment…he was politely responsive to my emails, communicated well and completely…easy decision.”~ Val J. What is often requested at the ceremony is gentle melodic background music to provide an ambiance as the guests arrive and assemble, followed by an eclectic menu of pieces to be played during the cocktail hour and dinner. You can select pieces from my repertoire for the procession of the bridal party, bridal procession, and recession. Some suggested pieces are listed below.